The Tunisian Jews of Israel are a strong people who are unafraid to practice their religion in the face of terrorism. Many Tunisian Jews who live in Israel make a yearly pilgrimage to one of the world's oldest synagogues, El Ghriba, in Djerba, Tunisia. This synagogue is the site of a terrorist bombing where 21 people were killed in 2002. They refuse to be intimidated into stopping this pilgrimage. Before WWII, Tunisia was a French colony. The French stood in the way of Tunisian Arabs who would have oppressed the Jewish minority. When the Nazis occupied Tunisia during the war, they enforced anti-Jewish policies and confiscated Jewish lands until the allied forces drove them out. In 1956 Tunisia was freed from French rule, but their new leadership changed into an oppressive dictatorship. It was then that Tunisian Jews began immigrating to the new Jewish homeland. In Israel today, the Tunisian Jewish community has its own feasts and celebrations. According to the Stanford University publication, "Homelands and Diasporas," one of their popular practices today is the Feast of Jethro. They gather together for food in the synagogues to celebrate the end of a plague in their community 2,000 years ago. When considering the Jewish lifestyle, many see Israel as the sparkling jewel on the ring of nations in the Middle East. Having been a minority for almost 2,000 years, the present population of Israel is now mostly Jewish. The stream of immigrants into Israel began in the 1880s with the national and cultural revival known as "Zionism." The trickle of immigrants became a flood when the nation of Israel was established in 1948. Since its formation, Israel has received over several million Jews. In the next decade it will probably overtake the USA as the world's largest Jewish community. Most of Israeli Jews live in cities. Attempts to start new towns and populate rural areas have been difficult. In fact, such attempts have often become scenes of ethnic unrest between Jews and Palestinians. Most of the Jews who live in rural areas are part of the well-known kibbutzim (collective farms or settlements in Israel). Israeli leaders wanted to see all immigrants fuse into one Jewish people. However, the different immigrant groups of the past have now become the ethnic groups of today. Along with the ethnicity, a class society has developed. One's ethnic background may shape one's occupation and standard of living. Oriental Jews, those of African-Asian descent, are concentrated in the lower strata of society. Unlike many Jewish communities outside Israel, extended families do not play an important part in the lives of Israeli Jews. Rather, the nuclear family is the most important unit. Because education is highly valued in Israeli society, schools are free and compulsory through the tenth grade. Most Jews view mandatory service in the Israeli army as a crucial part of the transition into adulthood. * Ask the Lord of the harvest to send forth loving Christians to work among the Jews of Israel. * Pray that the Jewish people will understand that Jesus is their long-awaited Messiah. * Pray that strong local churches will be raised up among Middle Eastern Jews. 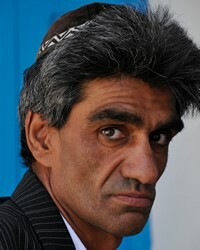 * Pray for the availability of the Jesus Film in the primary language of this people.View Jew, Tunisian in all countries.